Rectificatie: Wereldwijd uitrollen pyrolyse-techniek door BTG-BTL. In het Financieele Dagblad van 17 december werd vermeld dat Twence de pyrolyse-techniek van BTG-BTL wereldwijd uit wil gaan rollen. Twence heeft de een pyrolyse-installatie van BTG-BTL overgenomen, maar gaat deze techniek niet wereldwijd uitrollen. Dit blijft BTG-BTL doen. Op 12 december zijn BTG-BTL en Twence een samenwerking aangegaan, waarbij Twence de pyrolyse-installatie Empyro van BTG-BTL overgenomen heeft. De partijen zullen deze installatie samen verder doorontwikkelen en een installatie voor de voorbewerking van bermgras gaan bouwen. De unieke pyrolyse-techniek blijft in handen van BTG-BTL die samen met TechnipFMC de installaties over de hele wereld bouwt. Rectification: Global roll-out of fast pyrolysis technology by BTG-BTL. In the December 17 issue of the Dutch Financial Times "Financieele Dagblad" it was mentioned that Twence would roll-out the BTG-BTL pyrolysis technology all around the world. While Twence took over the Empyro fast pyrolysis plant from BTG-BTL they will not roll-out this technology. This will continue to be the job of BTG-BTL. On 12 December 2018 BTG-BTL and Twence entered into an agreement where Twence has taken over ownership of the Empyro fast pyrolysis plant from BTG-BTL. Both parties will work together on optimizing this plant further and will build an installation for the pretreatment of roadside grass. The unique fast pyrolysis technology will remain in the hands of BTG-BTL who will construct more of these plants all around the world together with TechnipFMC. 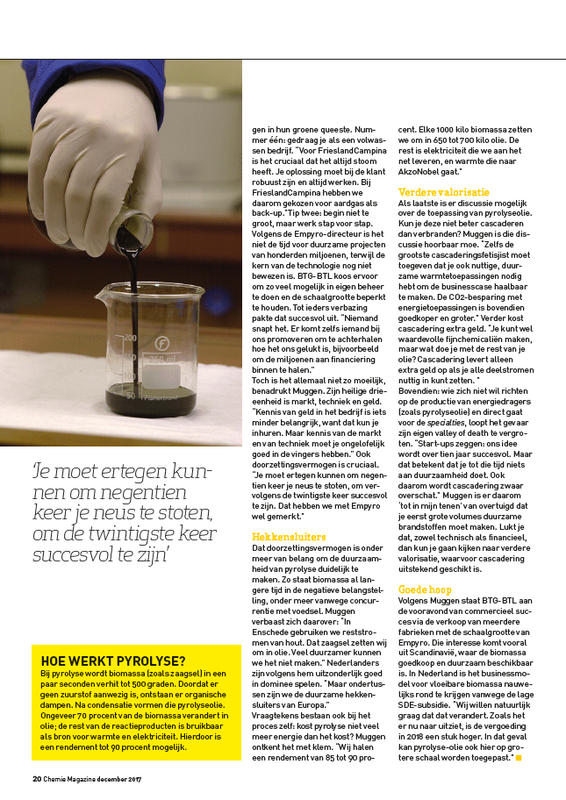 Interview BTG BioLiquids in chemical industry magazine. Chemie Magazine is issued by VNCI, the Dutch association for the chemical industry. In this interview our Managing Director Gerhard Muggen talks open-heartedly about entrepreneurship, biomass pyrolysis and cascading. International Lignofuels conference Amsterdam with site visit to our Empyro plant. Our Managing Director Mr. Gerhard Muggen will present at the 2018 Lignofuels Conference. The conference will be held in Amsterdam, The Netherlands from 7 to 8 February 2018. BTG-BTL's presentation on the conversion of biomass to pyrolysis oil is titled STATUS OF PYROLYSIS AND UPDATE ON THE EMPYRO PYROLYSIS DEMONSTRATION PLANT and will contain an update of production at our 120 ton/day Empyro Plant after 3 years of operation. We kindly invite you to visit this session and come talk to us during this event. A day prior the conference, a limited number of conference attendees will have visit our Empyro Pyrolysis Plant. Please enroll for this visit through the Lignofuels conference website. BTG-BTL at the European Biomass Conference and Exhibition in Stockholm. Our Managing Director Mr. Gerhard Muggen will present at the 2017 European Biomass Conference and Exhibition. The conference will be held in Stockholm, Sweden from 12 to 15 June 2017. BTG-BTL's presentation on the conversion of biomass to pyrolysis oil is titled STATUS OF PYROLYSIS AND UPDATE ON THE EMPYRO PYROLYSIS DEMONSTRATION PLANT and will contain an update of production at our 120 ton/day Empyro Plant after 2 years of operation. It is part of plenary session 3BP.3 titled "Advances in Biomass Conversion Technologies and Processes" which will take place in room K1 from 11:45h to 12:30h. We kindly invite you to visit this session and come talk to us during this event. Our Managing Director Gerhard Muggen will present at the Lignofuels 2017 conference. The main conference will be held in Helsinki, on the 1st and 2nd of February 2017. A day prior the main conference there is a site visit to UPM's Lappeenranta Biorefinery. Mr. Muggen's presentation on the conversion of biomass to pyrolysis oil will contain an update of productio at our 120 ton/day Empyro Plant after 2 years of operation. Voor zowel BTG-BTL in Enschede die zich bezig houdt met de verkoop van technologie, als ook voor de pyrolyse olie fabriek Empyro in Hengelo, zijn wij op zoek naar een ervaren Controller (0.6-0.8 Fte). U kunt solliciteren via onderstaande link. After releasing our first video at the opening of the Empyro plant we are excited to release another 4 minute video today. 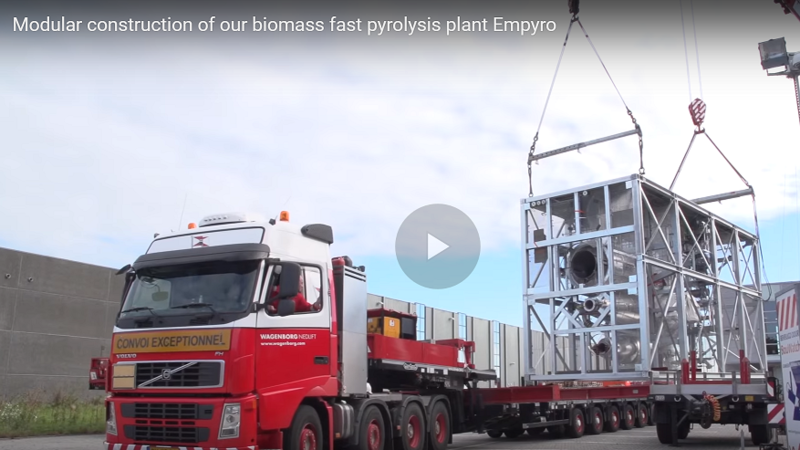 This video, which you can watch by clicking here or on the image above, is about how we built our biomass fast pyrolysis plant Empyro in just 8 days by using the modular building approach. We hope you will enjoy it! We need a virtual control room for our innovative 25 MW biomass-to-liquid plant. Have you got the skills and drive to help us build it? Update 17-07-2015: We selected a student for this assignment, so unfortunately this vacancy is now closed. Thank you for your applications. Feel free to continue to contact us if you would like to learn more about our company. For this internship we are looking for an academic engineering student. This assignment best suits a mechanical or chemical engineering student with some experience in (numerical) modelling. At BTG BioLiquids we are dedicated to contributing to a more sustainable society by providing a renewable alternative to fossil fuels. We foresee a large growth in the years to come as pyrolysis technology will start playing a more and more important role in the bioenergy and biofuels domain. To realize this growth we need enthusiastic and skilled people in the field of basic- and process engineering and commissioning in the future. BTG-BTL is a customer focused hands-on company which is working in the international biomass world and we need people who realize this and want to be a part of this. If you feel that your talent, drive and skillset could be of value to our company and ambitions, do not hesitate to contact us via mail, phone, LinkedIn or Twitter. Following the opening of Empyro we received a large amount of requests for pyrolysis oil samples, and in response we have opened a webshop. When the shipping costs for you order are available in our system then this webshop enables you to arrange payment straight away. This is the case for shipments with a total weight below 70 kg (worldwide delivery) or below 200 kg within Europe. Payment options are limited to cash-in-advance (wire transfer) and credit card (online payment). Shipment is initiated directly after receipt of payment. The oil is all made from pine wood and is in stock. If you have any questions with regard to the webshop, pyrolysis oil, payment or shipping, please feel free to contact us at webshop@btg-btl.com. We hope you find the ordering and payment process convenient. Every year BEON (Bio-energy Cluster of Eastern Netherlands) organizes a regional Bio-energy day. The theme this year was "Towards the biobased economy with energy. 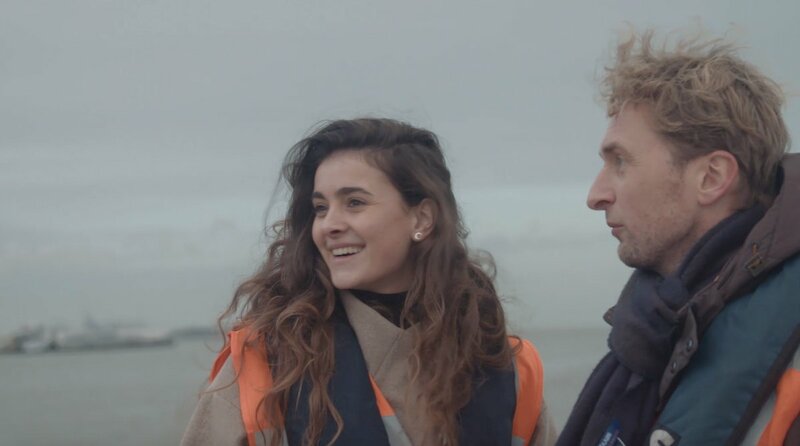 In Eastern Netherlands, a unique combination of science centres, technology companies and renewable energy companies can be found. All parties with a strong track record in bio-energy. The mission of BEON is to increase the use of bio-energy and foster sustainable economic growth by enhancing cooperation between cluster members. Exactly one year after the construction of the pyrolysis plant Empyro started, the plant’s festive opening took place on Wednesday May 20th. The opening ceremony was conducted by the Province of Overijssel’s representative, Eddy van Hijum, who filled a tank truck with pyrolysis oil. Empyro produces this oil from wood residues within a few seconds, whereas nature takes a few millions of years. The pyrolysis oil will be purchased by FrieslandCampina and burned in their new sustainable energy facility in Borculo. Empyro produces oil from biomass (wood residues) by applying pyrolysis, a technology in which the heating of biomass takes place in the absence of oxygen. This technology has been developed at the University of Twente and has been further developed by BTG-BTL, the parent company of Empyro. Empyro itself is a demonstration project with which the technology is demonstrated on a commercial scale. The project is a prelude to a further rollout of this innovative technology. The pyrolysis plant has cost nearly 20 million euros. 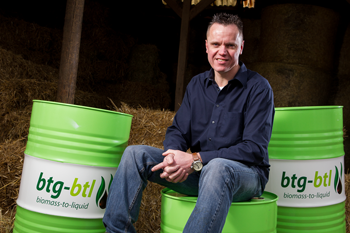 The equity has been raised by BTG Bioliquids BV, Tree Power, private investors and the Energy Fund Overijssel. The project loan has been provided by the Energy Fund Overijssel. For investments within the innovative part of the project, innovation grants from the European Commission (FP7) and the Dutch ‘Topsectoren’ Program (TKI-BBE) were obtained. Henk Kamp, Minister of Economic Affairs: “This is an example for the rest of the world. Given our ambition to create a sustainable energy supply, the Dutch government encourages businesses to increase the share of renewables in their energy consumption. Therefore we support this collaboration, so that this technology can be further developed”. The plant and its innovative technology draw attention from all over the world. During the International Symposium, to be held on Thursday 21 May, high representative of the European Commission Kyriakos Maniatis, will give a speech as well as a representative of the authoritative IEA (International Energy Agency) and a representative of the Brazilian oil major Petrobras. During the opening ceremony FrieslandCampina COO Roelof Joosten and Empyro director Gerhard Muggen received the NTA8080 sustainable biomass certificate that Empyro recently obtained for their pyrolysis oil from biomass. On May 20th we celebrate the opening of Empyro with those involved in the project. Our guests will learn more about the realisation of this first biomass pyrolysis plant from speakers and enjoy a guided tour. 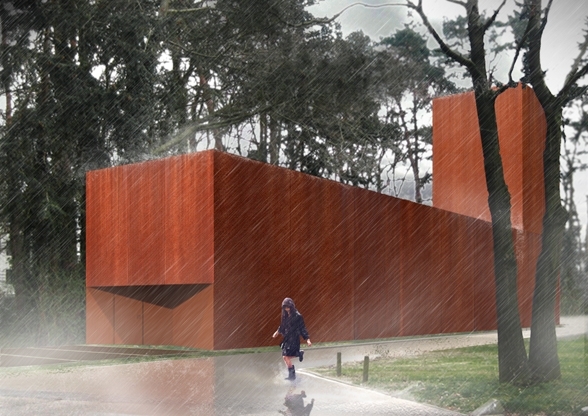 Speakers include designers and constructors as well as the province of Overijssel and Topsector Energie. Highlight of the day will be the actual opening ceremony to mark to start of pyrolysis oil production in The Netherlands. On May 21th we will celebrate the opening with the European project members of Empyro as well as selected international guests. 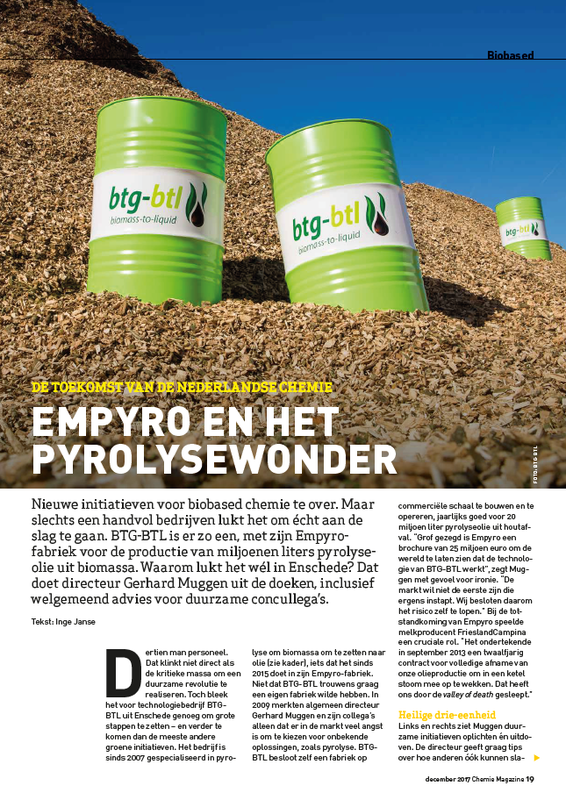 This months edition of the Bioenergy international magazine features an in-depth article on our pyrolysis technology and the current status of Empyro. The second article released recently is an interview in TOM. This magazine features local entrepreneurs in our Twente region and takes a personal view on what we do at BTG-BTL . At the Nordic Baltic Bioenergy conference 2015 BTG-BTL process engineer Ruud Meulenbroek will present the progress of the Empyro project to biofuel professionals and others interested in pyrolysis oil. The presentation titled 'Demonstration of wood pyrolysis on a commercial scale and potential starting point for bio refineries.' will take place in the session entitled “Transportation, biofuels and biogas” from 11:00-12:30 on Wednesday 15th of April 2015. Lignofuels 2015 conference in Madrid, Spain. BTG-BTL managing director Gerhard Muggen will present the progress of the Empyro project to biofuel professionals and others interested in pyrolysis oil. The presentation titled 'Pyrolysis oil, heat and power today, biofuels tomorrow' will take place in the session entitled “Production Case Studies” from 15:40-17:30 on Wednesday 21st January 2015. BTG-BTL managing director Gerhard Muggen will present the progress of the Empyro project to biofuel professionals and others interested in pyrolysis oil. The presentation titled 'Pyrolysis oil, heat and power today, biofuels tomorrow' will be on Thursday 25th September on day 2 of the conference at 12:15 in the Marriot Hotel in Ghent, Belgium. On Wednesday May 21st Mr. Theo Rietkerk (Representative Economy, Energy and Innovation of the Province of Overijssel) has performed the ceremony that marks the start of construction of the Empyro factory in Hengelo, The Netherlands. To celebrate this event BTG-BTL had organized a tour of some of this projects local technology suppliers, among which are Broeze steelworks in Nijverdal, Stork Thermeq in Hengelo and Zeton in Enschede. At the construction site a billboard was unveiled and a foundation pillar donated by the Province of Overijssel was placed by Mr. Theo Rietkerk. The Empyro pyrolysis oil production plant is constructed at the AkzoNobel site in Hengelo (The Netherlands). By the end of this year construction will have been completed. The production capacity will then be gradually increased to its maximum of over 20 million litres of pyrolysis oil per year. This amount of renewable oil will replace 12 million cubic meters of natural gas, the equivalent annual consumption of 8,000 Dutch households, which saves up to 20,000 tonnes of CO2 emissions per year. Additionally, the project creates approximately 100 person-years of work in Overijssel. Mr. Theo Rietkerk (Representative Economy, Energy and Innovation of the Province of Overijssel) and Mr. Gerhard Muggen (Managing director BTG-BTL) unveil the construction billboard at the Empyro construction site. Mr. Theo Rietkerk (Representative Economy, Energy and Innovation of the Province of Overijssel) marks the start of construction at the Empyro construction site. Mr. Theo Rietkerk congratulates Mr. Gerhard Muggen with the successful start of construction at Empyro. Visit to zeton where the Empyro plant (right) is currently under construction. Reception at Broeze steelworks where several key components of the installation, including the frame, are being constructed. The Empyro construction site on May 21st 2014. It is our great pleasure to announce that a new staff member will join Empyro BV shortly. As of 1 July 2014 Mr. Martin Risseeuw will become plant manager of our biomass pyrolysis factory that is under construction in Hengelo. Martin studied at two Dutch universities, and holds a Masters degree in Mechanical Engineering from Eindhoven University of Technology and a Master of Business in Energy systems (MBE) from Delft University of Technology . In the last 15 years he worked for the Dutch multinational company AkzoNobel, a world leading salt specialist, in various positions in their salt and energy business units. Martin has wide engineering experience and experience, among others, in energy production, heat integration, process improvements, maintenance management systems and running processes and plants twenty-four hours a day, seven days a week (24/7). We welcome Martin to the EMPYRO team and wish him success in his new position. NEW: Subscribe to our newsletter. We are pleased to announce that from now on you can stay up to date on the developments at BTG-BTL by subscribing to our newsletter. After the first edition of our newsletter was released on February 26th 2014 it will now appear several times per year. In this first newsletter you will find a short interview with Gerhard Muggen, managing director of BTG-BTL, an update of the progress of EMPYRO and some background information about FrieslandCampina, the first customer of EMPYRO who is going to apply pyrolysis oil commercially. BTG-BTL newsletter 1, February 2014. Nederlands persbericht kan hier gedownload worden. On the 15th to 18th of January 2014 the 4th Central European Biomass Conference is held in Graz, Austria. There a comprehensive overview will be given of technology developments in how biomass is utilized to generate energy throughout Europe. BTG BioLiquids Managing director Gerhard Muggen will give a presentation covering the commercial application of pyrolysis oil from Empyro. His presentation will take place on Friday January 17th 11:00 AM during PS6 on biofuels (parallel session). 33.5 million euros subsidy to University of Twente project for 1.6 MWe pyrolysis oil powered heat and power plant. The university of Twente has been granted a renewable energy subsidy of up to 33.5 million euros. This opens up the oppertunity to construct their own pyrolysis oil powered heat and power facility. For more information please visit the website of the University of Twente. 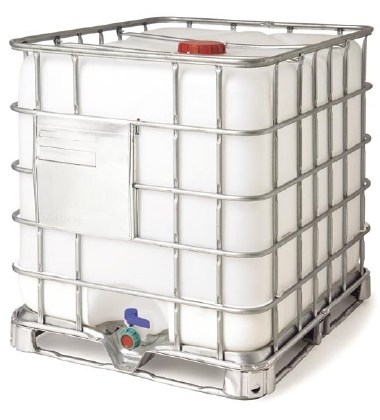 The EU has assigned CEN, the european institute for standardization, the task of defining standards for pyrolysis oil. 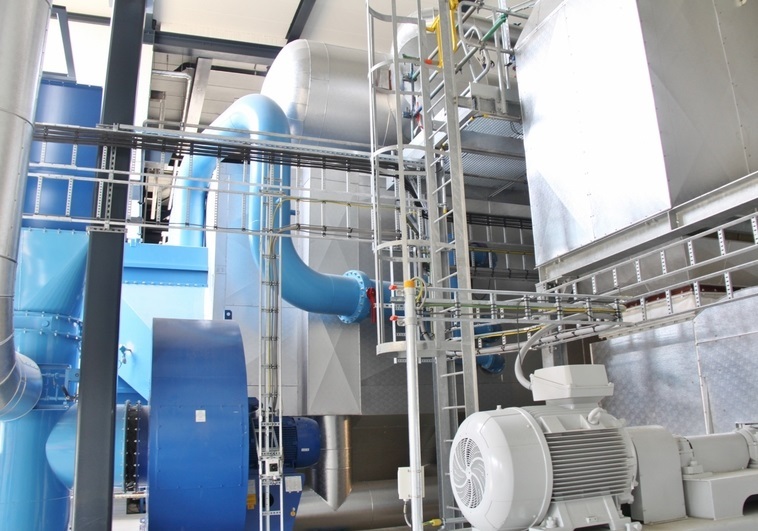 The application of pyrolysis oil in boilers, gas turbines, stationary diesel engines and, by upgrading and coprocessing, transport fuels is deemed possible by the European Commission (EC). For this reason NEN (Dutch Institute for standardization) is asking producers of heating equipment, heating plants and heating ovens together with bio-oil producers and suppliers to think about future EU-wide quality specifications and other standards. Latest IEA Task 34 newsletter on pyrolysis developments around the world. In June 2013 Pyne released its latest newletter covering pyrolysis developments by its members around the world. This issue contains a contribution by OPRA on their succesful test program on combustion of pyrolysis oil in their radial gas turbines. Also our mother company BTG has contributed an article on their biomass to diesel program which recently led to the first car ride on diesel fuel from wood residues. Pyne is the International Energy Agency's task 34 for Pyrolysis. From left to right: representative of the province of Overijssel Theo Rietkerk, Dutch minister of economic affairs Henk Kamp and BTG CEO René Venendaal with the 4-wheel drive vehicle on wood-based pyrolysis-diesel . BTG, a high-tech company from Enschede, The Netherlands, has developed a process to produce a diesel biofuel from second-generation biomass (not competing with the food chain) that is able to power a vehicle. The vehicle runs on a fuel blend that contains 25% of this pyrolysis-diesel. Henk Kamp, the Dutch minister of Economic Affairs, was taken for a ride in this 4-wheel drive vehicle on wood-based pyrolysis-diesel during his visit to Enschede on June 10th. This test drive, which took place on the University of Twente campus, is part of an initiative of Theo Rietkerk, representative of the Province of Overijssel, within the framework of BE2.O (BioEnergy to Overijssel). BE2.O is a 2.5 million euro research program in cooperation with the University of Twente which is funded by the Dutch province of Overijssel. The minister will take up this challenge with a 4 million euro of support for pyrolysis technology from the Dutch Top Sector policy programme. With pyrolysis diesel the company BTG has a world scoop. CARBON NEUTRAL FUEL: In the pyrolysis process wood residues are cracked in a few seconds which results in a useful oil, a process that takes tens of millions of years in nature. Pyrolysis oil is carbon neutral because of the circular process of the trees and plants the biomass residues originates from. Another important advantage is that no competition with the food chain occurs: pyrolysis oil is second generation biofuel that, contrary to for example palm oil or ethanol from sugar cane, does not compete with food crops. IN THE TANK: BTG provides the proof that pyrolysis oil can be blended in a high proportion with fossil diesel. The diesel from pyrolysis oil has been made in the laboratories of BTG. The diesel is a mixture of 25% pyrolysis oil from wood and 75% ordinary diesel. The pyrolysis diesel was produced within the framework of the BE2.O-programme, in cooperation and coordinated by the University Twente and financed by the Province of Overijssel. In one of the different BE2.O-projects BTG has produced pyrolysis diesel. INVESTMENTS IN PYROLYSIS OIL: Pyrolysis is one of the core technologies of the Dutch Top Sector Programme. This programme is financed by the private sector and the Ministry of Economic Affairs. Developments in this field proceed quickly. Earlier this year, the new pyrolysis factory in Hengelo (O) has received a subsidy of 4 million Euro from the Top Sector Programme. The European Commission considers pyrolysis as a core technology for second generation sustainable biofuels as well. At an earlier stage the European Commission has already offered financial support to the pyrolysis factory that should be operational in Autumn 2014. 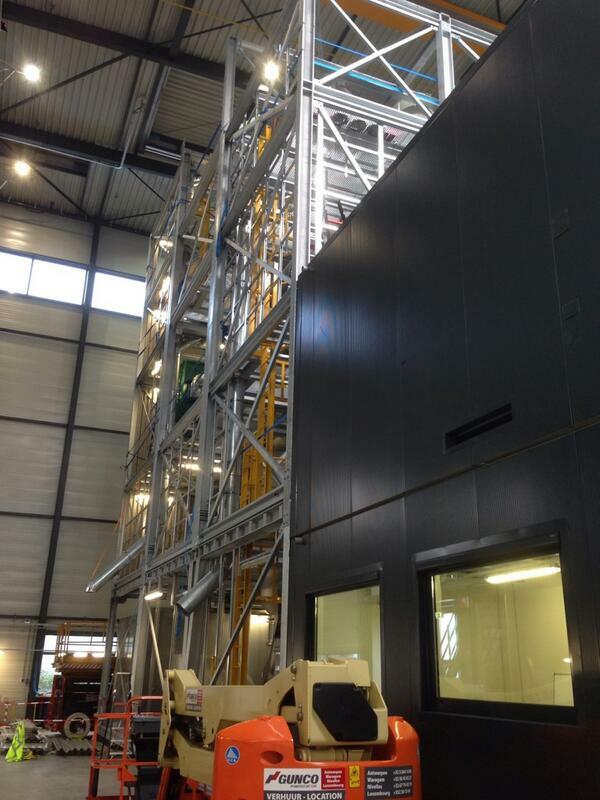 Update 22 March 2013: Empyro has contracted HoSt as well for next step towards realization of pyrolysis plant in Hengelo. Update 12 April 2013: Empyro has contracted Stork as well for next step towards realization of pyrolysis plant in Hengelo. The Leaders of Sustainable Biofuels (LSB) met the European Parliament (EP) in Brussels on the 8th of May 2013. The meeting was hosted by the ITRE (Industry, Research and Energy) Committee, chaired by Mrs Amalia Sartori. The vice-President of the European Parliament, Mr Alejo Vidal Quadras, welcomed the Leaders and introduced the positions of the EP ITRE Committee on the European Commission revision of the Renewable Energy Directive - RED. The positions expressed by Mr Alejo Vidal Quadras, the Rapporteur of the ITRE Committee, and reported in his draft ITRE Draft Opinion, were supported by the Leaders of Sustainable Biofuels. The Leaders sent a clear message to the Parliament members: "Second Generation Advanced Biofuel technologies are ready to compete with conventional biofuels, with companies keen to invest in commercial projects given appropriate conditions", the Leaders said. Such conditions include a long-term stable legislative framework and specific targets for the use of Second Generation Advanced Biofuels1. The European Advanced Biofuel Industry is the most technologically advanced in the world, leading the development and commercialization of biofuels in an innovative and competitive field. This is possible thanks to significant investment from (the members of the LSB), and considerable support from the European Commission and the Member States. These technologies and the associated sustainable biofuel chains are needed to reduce greenhouse gas emissions, decarbonise transport and improve air quality. Furthermore, large-scale production of Advanced Biofuels would create thousands of permanent direct and indirect jobs. Today the competition in this sector is on the rise and to promote investment in advanced biofuels in the EU requires immediate action by creating a stable and reliable long term framework. The risk for the EU is that investments will occur anyway but elsewhere, where more favorable policies and investment conditions exist, as in the US, South America, and Asia. A minimum two per cent mandate for Advanced Biofuels should be set as a sub-target of the RED, with a well defined and growing pathway to 2025-2030, aligning policies with market realities, securing long term perspectives and mobilising resources into commercial activities. Sustainability should be maintained as the reference criteria to evaluate any biofuel production. Certification schemes should also be further developed, harmonised and adapted to respond to the specific characteristics of lignocellulosic fuel chains, particularly when produced from agricultural and forestry residues and wastes (no land consuming feedstocks). "These actions are essential if the EU wants to meet the Climate and Energy Policy targets", the Leaders said. The LSB is a group composed by the Chief Executive Officers of seven Leading European biofuel producers and European airlines. The initiative aims at supporting the development of second generation biofuels in Europe. The leaders of Chemtex, British Airways, BTG, Chemrec, Clariant, Dong Energy and UPM are joining forces to ensure the market uptake of advanced sustainable biofuels by all transport sectors.